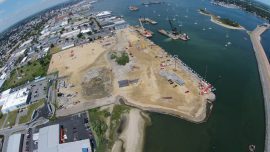 The Port of New Bedford in Massachusetts has received a USD 15.4 million grant from the U.S. Department of Transportation which will be used for expanding and improving the infrastructure. 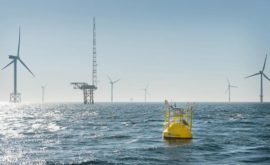 The U.S. Department of Energy (DOE) has awarded USD 650,000 to the National Renewable Energy Laboratory (NREL) for two floating wind demonstration and testing projects. 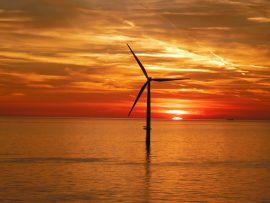 U.S. Department of Energy’s (DOE) Wind Energy Technologies Office (WETO) has announced a funding opportunity for advanced research and development (R&D) to reduce wind energy costs and environmental impacts. 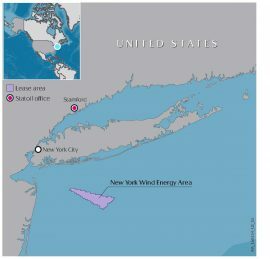 Deepwater Wind will invest USD 250 million locally for its Revolution Wind offshore wind project in Massachusetts, US, including a USD 40 million private investment in Rhode Island ports ProvPort and Quonset Point. 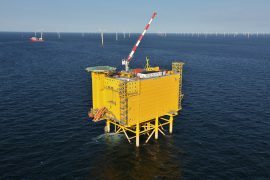 The UAE-based offshore engineering and fabrication company Lamprell recorded USD 98.1 million net loss in 2017, USD 80 million of which was attributed to the operational challenges faced on the East Anglia One project. 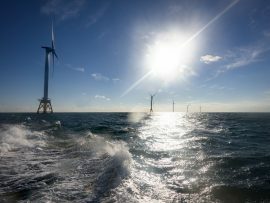 U.S. President Donald Trump has proposed a budget of USD 179.3 million for the Bureau of Ocean Energy Management (BOEM) in Fiscal Year (FY) 2019, under a total budget for the U.S. Department of the Interior (DOI) of USD 11.7 billion. 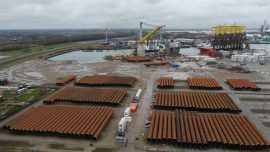 Lamprell, the company in charge of fabrication of 60 jacket foundations and their accompanying piles for the East Anglia ONE offshore wind farm, will book approximately USD 80 million (approx. 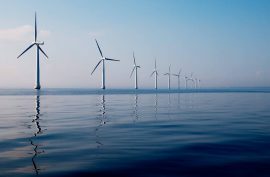 EUR 64 million) in losses related to project in its 2017 financial results, to be released in March. 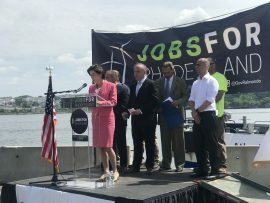 The proposed Bay State Wind wind farm project will bring USD 1 billion direct investment to Massachusetts and will support the construction of the first purpose-built Jones Act-compliant installation and transportation vessels, the developers said. 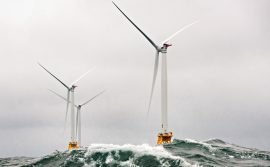 The U.S. Department of Energy (DOE) has officially announced a USD 18.5 million funding for an offshore wind R&D consortium that will conduct U.S.-specific research aimed at reducing the cost of offshore wind in the states. 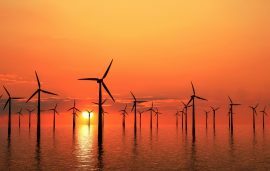 Westwood Global Energy Group expects USD 119 million of offshore wind-related helicopter expenditure over the period 2018-2022 with a CAGR of 39%, as the world could see the number of installed offshore wind turbines reaching 10,000 by 2022. 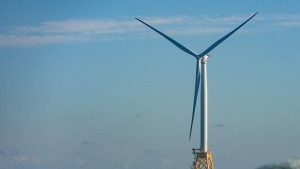 The Port of New Bedford, Massachusetts, has applied for a USD 15 million government grant to make room for an increase in activities, including offshore wind. 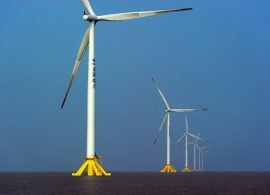 The University of Delaware has determined that assembling offshore wind turbines in a port is the most cost- and time-effective method in the construction of offshore wind farms, since it would cost up to USD 1.6 billion less per project than conventional approaches and would take half the construction time. 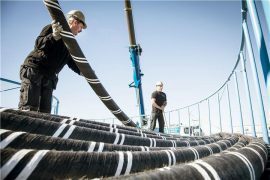 The global high voltage power cable market was valued at USD 33.225 billion in 2016 and is projected to expand at a CAGR of 7.17% over the forecast period to reach USD 50.345 billion by 2022, according to a report at Research and Markets. 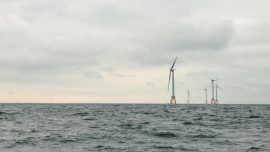 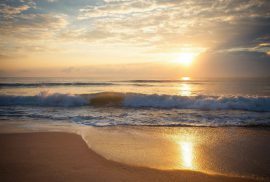 The Maryland Energy Administration (MEA) has allocated a combined USD 1 million for two new grant programs specifically targeting the offshore wind industry. 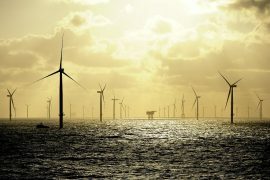 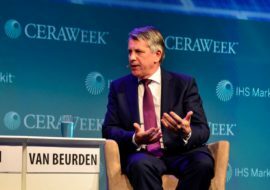 Oil and gas giant Shell plans on increasing investments in its newly-established New Energies division to up to USD 1 billion a year by the end of the decade, according to our sister site Offshore Energy Today. 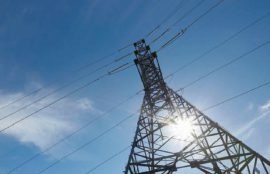 Annual global spending on transmission system infrastructure for large-scale renewable energy integration is expected to grow from USD 36.7 billion in 2016 to USD 46.7 billion in 2025, according to a new report from Navigant Research.